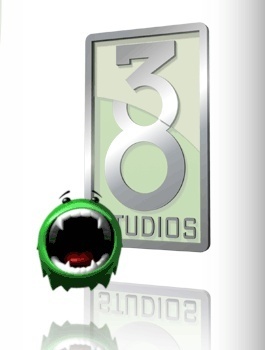 Rhode Island has voted to use some of the money recovered from 38 Studios to launch a new investigation into 38 Studios which it hopes will allow it to recover more money from 38 Studios. 38 Studios, the Curt Schilling-led developer of Kingdoms of Amalur: Reckoning, is no more (and hasn't been for quite some time) but that doesn't mean that its problems are over; or, more accurately, the problems of many of its former executives as well as ex-high-ups at the Rhode Island Economic Development Corporation, who are facing a potentially devastating lawsuit as a result of the studio's collapse. A judge ruled in late August that the suit may proceed, and now it appears that even more trouble may be on the horizon. The Rhode Island EDC voted last week to allow the federal bankruptcy trustee overseeing the case to use up to $150,000 of the money recovered from the company to launch investigations into other potential claims against its former officers and other involved parties. "There is the potential that he can bring in additional monies," EDC attorney Thomas Carlotto said. In order to proceed, the trustee must also gain the approval of The Bank of New York Mellon, the bond trustee and the bond insurer, so it's possible that the idea won't ultimately gain traction. But given that the lawsuit appears to have at least some modicum of merit based on the decision to allow it to proceed, and the relatively trifling amount of money involved - 150 large is couch-cushion change when you're on the hook for almost $100 million - it doesn't seem all that unlikely that Schilling and company could be facing a new set of headaches in the fairly near future.